Jeffrey Brian Adams is entering a very special phase of his fledgling acting career. 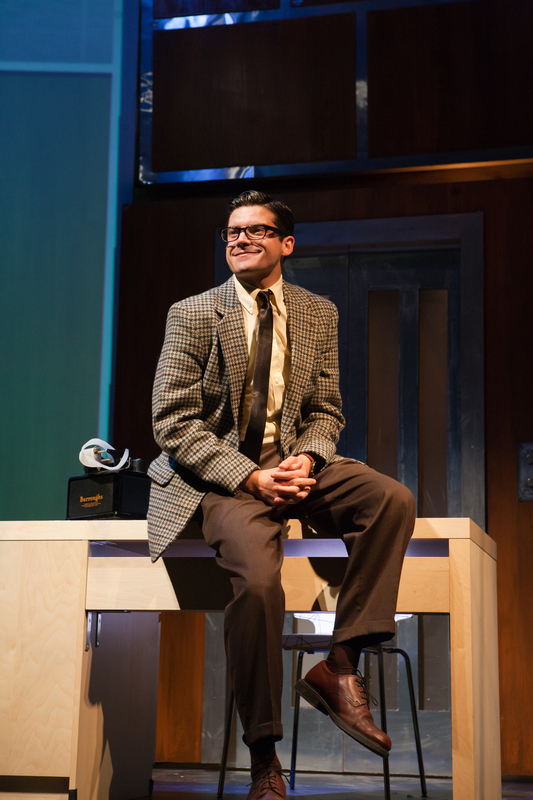 The San Jose native and alumnus of Bellarmine College Prep and Santa Clara University has made his mark on stages around the Bay Area in lots of great roles, but is now in full swing of carrying a heavy-duty show on his back. 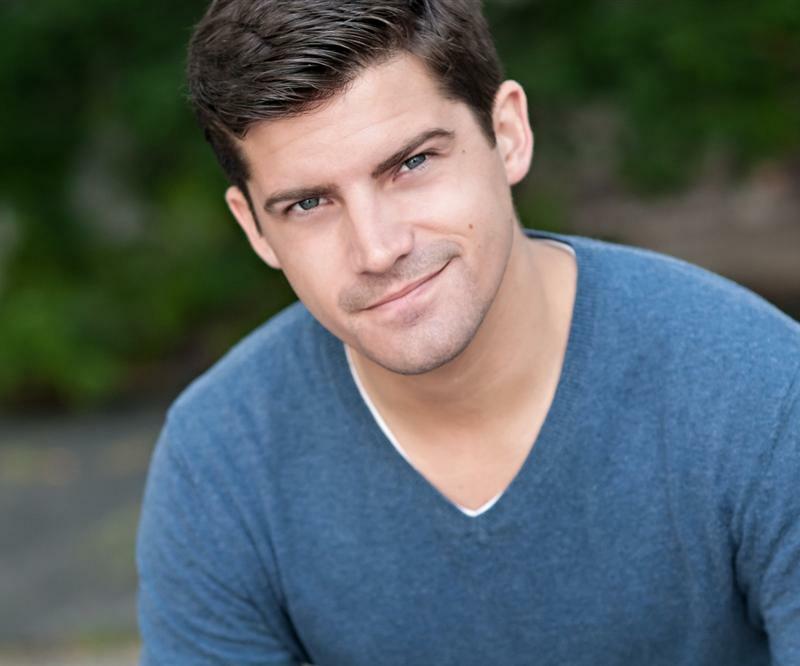 Adams is currently starring in the Neil Simon, Hal David and Burt Bacharach musical “Promises, Promises” at the venerable San Francisco Playhouse. The story follows young bachelor Chuck Baxter, a junior executive at an insurance company. In order to ensure his promotion, Chuck enters a deal with the company’s higher ups, which allows them to use his apartment for various romantic liaisons. Chuck also falls in love with Fran Kubelik, which poses a huge problem. J.D. Sheldrake is the company’s powerful director of personnel, and is having his own affair with Fran, which may get in the way of Chuck’s ultimate promotion. Adams has experience playing Simon’s work, having been in a college production of “Lost in Yonkers,” the winner of the 1991 Pulitzer Prize for drama. He has found Simon to be a style of its own, with a lot of depth and truth throughout the writing. “His comedy is wonderful to me, he writes very real characters within the context of a comedic setting,” said Adams. What is special about this production is that it is the final one before Adams becomes a full-fledged unionized actor, a member of the Actors Equity Association. For him, playing Chuck is the perfect role to really test his mettle. That is not to say Adams feels he has a consistent handle on his approach to playing this particular character. Adams understands the organic process of the theatre, a process that includes constant exploration and discovery. Every night in the theatre, a show’s dynamics may change, which is something Adams embraces. “I don’t know that I ever feel like I got this guy, because it’s an ongoing exploration every night,” said Adams. “Different things come up in me, or a fellow actor on stage can give me a different line, and the energy alone can change a performance. Something Adams had to learn about is how to balance everything Chuck Baxter is. Whether it’s neurosis, anxiety or ambition, Adams spent lots of time crafting such a varied character. In addition to establishing relationships with the other characters, Adams has an added challenge in terms of a unique relationship he shares with the audience.